Every new client asks me what I think about Cesar Millan the “Dog Whisperer.” They want to know where I might agree and where I don’t. So we had the idea that I would answer questions that were posed to Cesar in an interview he conducted and then one could draw their own distinctions. Q) What makes you the Dog Whisperer? Cesar) I was raised around dogs, and I understand the way they interact socially. My ability to relate to them is really instinctual… I can see the world from the dog’s point of view. Kevin) I was raised in the dog training and boarding business. I learned that everything dogs do is normal. I can see why dogs do what they do and how this differs from the human perspective. Q) Do you have formal training? Cesar) My grandfather taught me at an early age about how not to work against Mother Nature. Since then, my formal training has been to work with literally thousands of dogs. I’m a real-world behaviorist – I work with dogs every day, and my methods achieve results. Kevin) I apprenticed under my father who was the first trainer in America to apply the “alpha pack leader” theory to the family dog. After a while, I began to see that this was a misinterpretation of the nature of canines. We were projecting our own thoughts of dominance onto the behavior of dogs and wolves. Q) How are you different from most dog trainers? Cesar) Most training seeks to teach dogs how to obey commands, but this has nothing to do with dog psychology or understanding how to fulfill the needs of your dog. My technique is more about rehabilitation through exercise, discipline, and affection. Kevin) I don’t seek to control a dog’s energy. I want the energy to control the dog. Then everyone gets what they want. The dog has energy and the owner is in control. Q) Can anyone become a Dog Whisperer? Cesar) Probably to a certain extent. But it requires very specific skills, particularly when dealing with aggressive dogs. You must understand the dog’s pack mentality. I bring 20 years of experience to each situation. I recommend on the show that owners – especially ones with aggressive dogs – always consult a professional. Kevin) It’s better to be a listener than a whisperer. Dogs show us all the time what they need and want. All we have to do is listen. Dogs are attracted to man and they are masters of human energy. It’s up to us to tune in to them so that we can figure out what dogs want. Then our dog will tune in to us. Anyone can learn to listen. Q) What do you mean by “pack mentality”? Cesar) A dog’s pack mentality is its natural way of relating to other dogs. A family unit can also be a dog’s pack. Even a single person and a dog is the dog’s pack. It is important that the human be the dominant member of the pack. This is not achieved through violence or bullying, but with calm, assertive energy. The dog isn’t threatened; it just knows its place in the pack. Kevin) In the canine makeup, there are pack instincts and there is group energy. Typically the pack instincts get all the credit for the cooperative nature of the dog when nothing could be further from the truth. The pack instincts are the source of all dysfunction. For example, a prison community is a perfect example of a society running on pack instincts. And every time an owner sees a pack instinct in their dog, they’re likely to call a trainer or a behaviorist because it is so unsettling. On the other hand, true sociability flows from those situations when everyone can find their energy satisfied by working toward a common purpose. This is not instinctual, this is going by feel. On a winning team each player plays their heart out in a specific role in order to receive a level of gratification that is impossible to attain by singular action. There is ‘subordinace’ to a group ethic and yet no submission whatsoever. This is group energy. Q) How do you get dogs to change? Cesar) People humanize dogs and don’t understand their psychology as pack animals. I begin by showing the dog that I am the pack leader. I fulfill the dog’s need through exercise, which is walking the dog in the correct way. I give the dog rules, boundaries, and limitations … and then affection. Kevin) You do not change a dog. You change the way a dog deals with stress. A dysfunctional dog reacts to stress with an instinct, which is always counterproductive to living harmoniously in man’s world because instincts evolved to resist change and man’s world is a realm of ceaseless change. Whereas a functional dog is able to turn stress into information because he can feel energized, rather than threatened, by change. So when a dog is emotionally energized rather than instinctually triggered by change, the dog is “changed”. Q) What is the most common mistake people make with dogs? Cesar) They don’t establish a leadership role. Almost all dog problems come from two things: lack of exercise and lack of leadership. 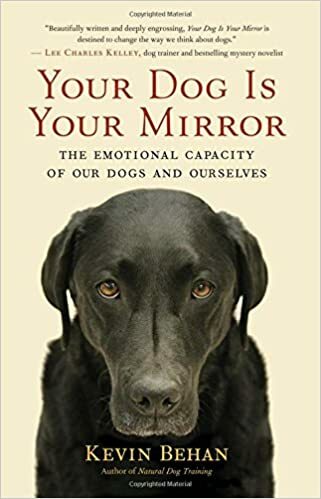 Additionally, especially in America, owners tend to give affection, affection, and more affection, when what the dog really needs is exercise, discipline… and then affection. Kevin) The number one problem is what I call “attention surplus disorder”. Owners give their dog attention as a way of expressing affection. But then the dog learns that it has to be the center-of-attention in order to feel connected to its family. As a consequence, it perceives things that divert the owner’s attention from them as threats. True sociability arises from a passion-in-common, and the typical dog owner doesn’t understand canine passion. Dogs are group hunters. By working together as a team, each member of the group learns to be obedient to the ways of the prey. So when dog and owner agree on what is the prey, (and dogs are infinitely malleable as to what constitutes “the prey”) they are able to live in absolute harmony. Q) What is the most important thing to do for your dog? Cesar) Take your dog on a 45-minute power walk every morning. BUT, you must use the proper method in walking your dog – when leaving the house, make sure you always walk out the door ahead of your dog to demonstrate who is the leader, and make sure the dog is not in front of you on the walk. Kevin) One must teach their dog that it can give their owner its energy. This is the basis of trust. If a dog can express its full energy toward its owner and this makes the owner happy, then they can live together as a group. In a group, every member does what it most wants so that every member gets what it wants most. The most important thing an owner can do for a dog is to understand what a dog wants. Q) What dogs make the best family pets? Cesar) Find a dog that fits your lifestyle. Active breeds like hunting dogs and herding dogs require more physical challenges to stay physically and mentally content. It is important to match a dog’s energy to your lifestyle before making a choice. Kevin) Any breed of dog can make a great family pet. But don’t get a dog to make you look good, choose a dog that makes you feel good. The key is to be true to what you truly want. Question asked by Millan where very interesting and very informatively given by Kevin . Great to go through this interview. Kevin’s answer to the question ‘what is the most important thing to do for our dog’ is the reason I stopped living with my dogs using Cesar Millan’s dog psychology. I was getting up every morning and taking both of our dogs on power walks, definitely 45 minutes or longer, and making absolutely sure that I walked out of the house first, and that my dogs walked right behind me the entire walk. Sure my dogs were tired after this, but that didn’t mean a thing to Denny( our very prey stimulated puppy) or Chico ( our 2 yr old dog who has stored up so much stress in his lifetime). They were no more bonded or in tune with us than before we walked them, they were simply tired meaning they were easier to control( at least in our minds). 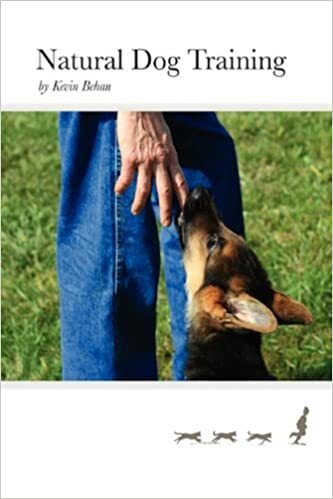 When I read Kevin’s answer to the question, I knew that Natural Dog Training was going to be the way I could live with my dogs and really have a bond with them, not just have well behaved dogs that did what you said because of intimidation. I also realized that I was very stressed out myself because of the strain of constantly trying to control my dogs and also my own life.I have significantly changed my own lifestyle philosophy since starting Natural Dog Training. One last thing I’d like to add is that Natural Dog Training is the first training for dogs ( and I’ve encountered a lot) that is really for the dogs and not just the humans, that I have ever heard about. What does this even mean? It has no real world consequence. It is the kind of magical thinking and obfuscating language con artists use to pull one over on their marks. It is meaningless nonsense, the dog owner wants practical, pragmatic solutions not metaphysical musings of a self styled philosopher. Being a self-styled philosopher is part of being Irish. But to your apparent point: another way of saying “energy” in the canine mind is by way of answering the question, what does a dog want? Whatever a dog wants, makes him energized. And knowing this would prove to be the most pragmatic and practical advice any dog owner could possibly know. Imagine a parent not knowing what their child wants; all the practical and pragmatic cookbook/recipe advice on parenting in the world would be utterly meaningless without this core kernel. Currently the marketplace is trying to convince owners that dogs want dominance, rewards and positive experiences. I’m striving to show owners that this doesn’t make sense. My point is that if an owner possesses what their dog wants most, then the dog will “give its energy” to its owner no-matter-what. Not very heady philosophy I concede but dogs are real simple once you can see them in terms of energy. still a dog will gravitate to positive experiences and is completely dependent on its owner for almost everything. This is not magical thinking, you make it that because you judge it. Feel it, don’t judge it. It’s sad that you don’t get to experience the joy of a dog giving you it’s energy. It’s say alot about where you at with your own emotions and feelings, and how protective you are with your own ego. I’m just glad im 24 and learning this. It probally takes just as much work on myself and my own emotions than the next but it is worth it!